100% Financing with approved credit! Kelley & Dawson Service is a family owned and operated business. 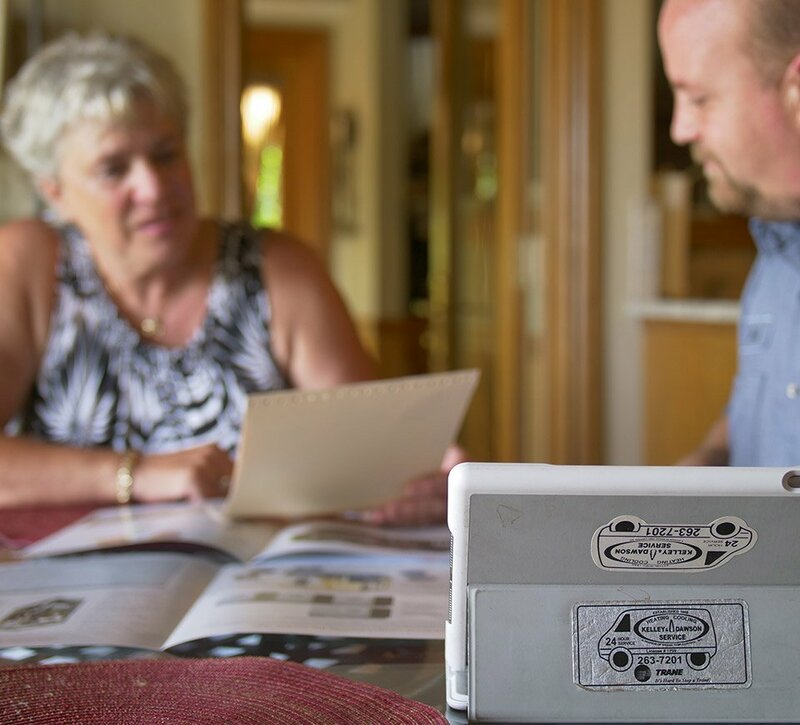 We have continuously provided exceptional service in the greater Wichita area for the complete comfort of our customers for almost 60 years. 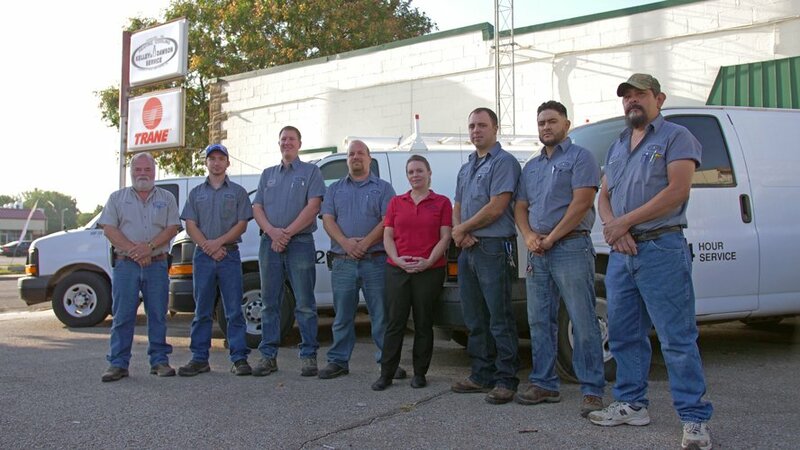 Our team has combined experience of over 100 years! All of our employees have had background checks and are in uniform. We will treat your home with tender loving care. We use drop cloths and wear protective shoe covers to protect your floors. We always clean up after ourselves. 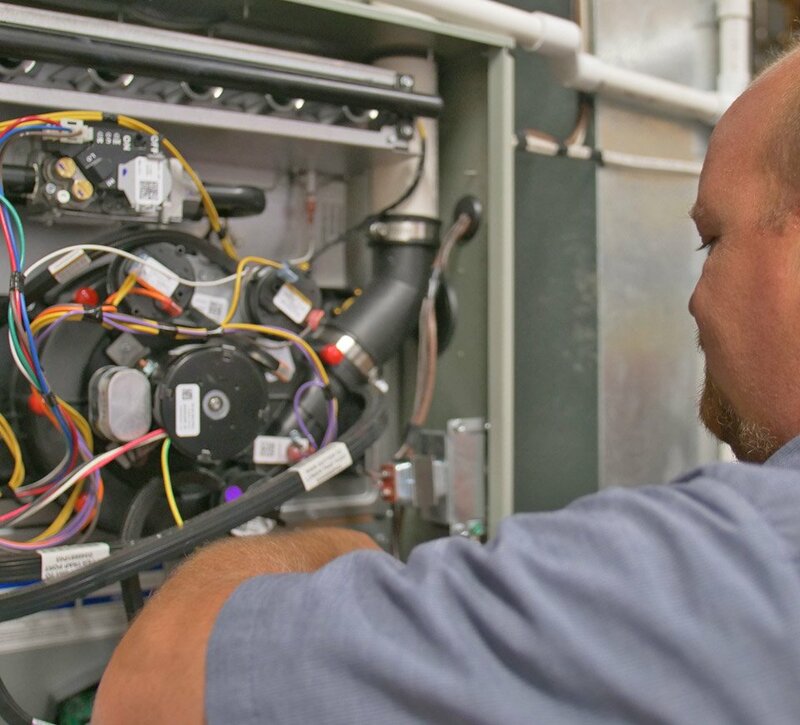 Kelley & Dawson Service is an authorized Trane Comfort Specialist offering the highest quality HVAC service, repair & installation from one of the best manufacturers in the industry. Through dedication and commitment, we have been recognized as a distinguished dealer of Trane equipment for over 20 years. 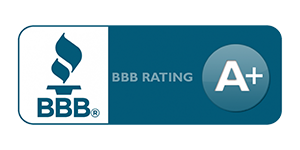 We are a full-service air conditioning and heating company providing service and repair on all makes and models. 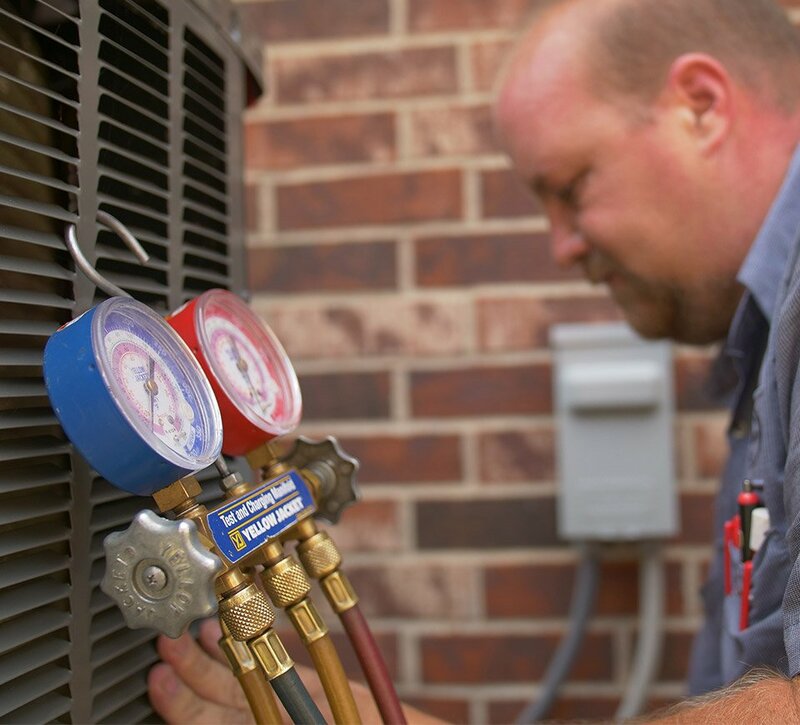 We take the time to assess your needs and provide the best and most appropriate heating and cooling solutions. We have a complete sheet metal shop to custom build fittings and duct work to adapt to needs of your home. Fast and reliable, our service vans are ready and waiting to answer your call, night or day! The gentlemen that worked on our air conditioner were so professional. They answered my questions thoroughly. They did such an amazing job for us. I highly recommend Kelly and Dawson for any and all air conditioning issues you may have. Both of the gentlemen here had such exceptional knowledge of air conditioners. Thank you so much for a job well done. We've been using Kelly and Dawson for several years. They are always very responsive when we need service. They are fast and knowledgeable about the needs of our systems. I would recommend Kelly and Dawson to anyone who needs AC, furnace or heater services, repairs or replacements.